Records in a Journal: This can be the best time of your life! 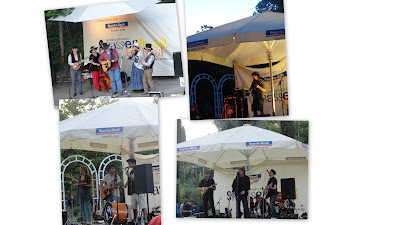 "Time flies by when you are having a bit of fun", remarked a member of the band 'Peter Jones and the lazy bandits' when there was only 5 minutes left for their performance to end for the evening at the Ludwigsburg street music festival. The band then went on to play a beautiful song. When looking back can be so hard? Can only change the one you are. Keep the faith and you will see. This can be the best time of your life. Let him rest when he gets tired. Tomorrow holds the golden key. 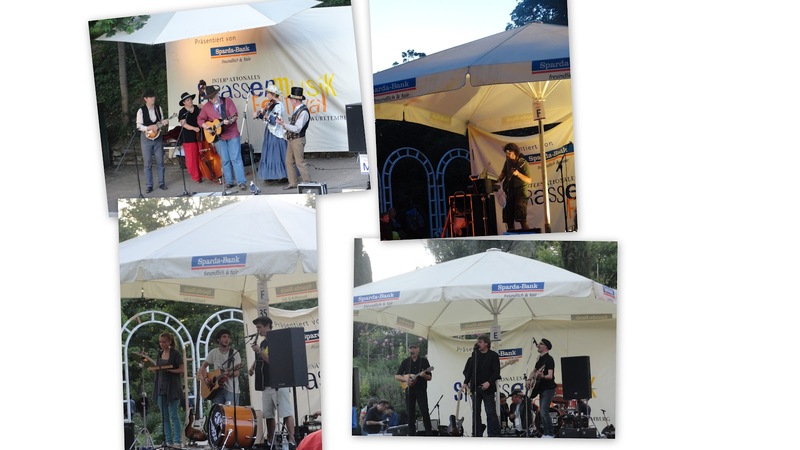 It was 10 o clock on a beautiful summer evening at the Blooming Baroque in Ludwigsburg where the yearly street music festival is held. The first day of the festival this year, the garden was teeming with families, kids, couples and the elderly, all immersed in their own worlds listening to some of the soul stirring music on offer. This song stirred something in me and I was spellbound until it ended...! Earlier in the evening, as I was waiting in the queue to get a ticket, a gentleman came up to me and asked if I have a ticket. A little bewildered, I replied in the negative. He then proceeded to tell me that he has an extra ticket and I can get lucky. Lucky, I did get. To be part of a festival that is renowned for attracting good bands from all over Europe, year on year was indeed some fortune! People moved in the vast garden area listening to one band and then the other. Many families let the kids play around. When a young boy casually climbed one of the stages and tried to grab a microphone (perhaps to accompany the lone singer and performer on stage then), the crowd was amused...Certainly, one memorable evening! Check out the website of the band 'Peter Jones and the lazy bandits' here.